After concluding an agreement for collaboration, CPS will be present at the next 10th Congress of the Brasilian Association of Political Science (ABCP) in Belo Horizonte, 30 August-2 September 2016. Please find more information at this link. Political Parties in "Post-communist" Europe: Old "Specificities", New "Normalities"? Contested Hybrid Democracy: Endorsing or Revisiting the Liberal Model in Non-Western Countries? Information on chairs, discussants, paper givers and time schedules and other details can be found here. An International Conference on the topic 'A Great Transformation? Global Perspectives on Contemporary Capitalisms' will be held at the Johannes Kepler University of Linz (Autria), 10-13 January 2017. A call for papers is open. ​Abstracts should be limited to a maximum of 500 words. Please, send the abstracts and full papers to great.transformation@jku.at. We are pleased to announce that the Center for the Study of Democracy (CSD) at Leuphana University Lüneburg, Germany, will host the 25th annual PhD Summer School on Political Parties and Democracy of the European Consortium for Political Research (ECPR) Standing Group of Political Parties. Participants of the Summer School will have the opportunity to critically discuss current research on political parties and to present their own research projects. Classes will be taught by an international team of leading academics under the direction of Professor Ferdinand Müller-Rommel (Leuphana University Lüneburg). Thematically focusing on the role and the function of political parties in contemporary democracies, the program is unique among international summer schools. Its theme is high on the agenda of young researchers, with an enormous increase in the number of doctoral dissertations dealing with political parties being observable in recent years. We are delighted to announce the 5th Berlin Summer School in Social Sciences. The summer school aims at promoting young researchers by strengthening their methodological understanding in linking theory and empirical research. The two weeks program creates an excellent basis for the advancement of their current research designs. On February 13, 2015, a workshop on Different Aspects of Policy Expertise in and for Political Parties will be held at the Faculty of Social Sciences (Institute of Political Studies and Institute of Sociological Studies) of the Charles University of Prague. The workshop is organized within the frame of the research project Policy-Related Expertise in Czech Political Parties financed by the Czech Science Foundation and it is held under the auspieces of the CPS and the IPSA RC32. Further information and the workshop programme can be found here. 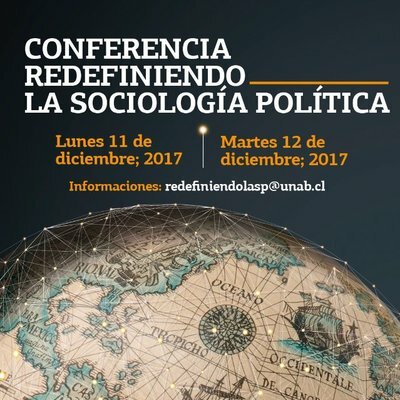 The IPSA RC06 on Political Sociology is one of the supporting committees of the next conference on research methods in political science organized by the IPSA Committee on Research and Training. The conference will take place at the Faculty of Political and Social Sciences of the University of Antwerp (Belgium) on September 17-18, 2015. The deadline for abstracts (250 words) is March 1, 2015. More details can be found here. For any further query, please contact the IPSA Liaison Representative of the Research Committees at the IPSA EC, Prof. Christ'l De Landtsheer (christl.delandtsheer@uantwerpen.be). The CPS, which has one reserved panel at the Annual Meeting of the APSA (San Francisco, September 3-6, 2015), has proposed this year a panel titled “How Party Organizations Shape Democratic Outcomes”, co-sponsored with the APSA organised section 5 on “Political organisations and parties”. The proposed panel will draw upon novel data on political party organization in modern democracies collected by a large international research group (the Political Party Database Project; http://www.politicalpartydb.org). The papers are expected to present comparative analyses on questions relating to the way political parties organize in contemporary democracies. These include patterns of party organizational strength, party membership, the degree of intra- party democracy (IPD), candidate selection rules and their impact on descriptive representation (particularly gender equality), and party linkages to social groups. CPS conference on "Political Parties"